These vege balls are a great hit. Filling and full of flavor. Accompanied by napoli sauce and zoodles it’s a great way to get an Italian fix, vegan-style. Cook the pasta, as per instructions. Put the cooked pasta, beans, barbecue sauce, tomato puree, salt & pepper in a food processor & mix them up into a paste. Set aside. Add the garlic, thyme, salt, pepper to the saucepan and cook until you’ve released the aroma of the garlic & thyme. Remove from heat. Add the pasta paste to the saucepan and combine well. 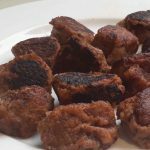 Heat oil in a frying pan and cook the balls until the skins are slightly crisp & colored. Set aside. Heat the tomato, basil and garlic powder in a large pot. Lightly steam the spiralised zucchini, the zoodles. 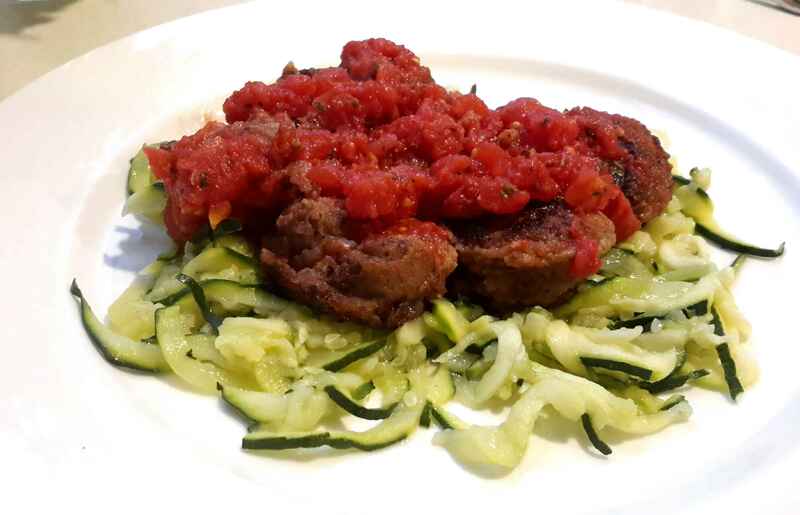 Serve the pasta vege balls & sauce over steamed zoodles. Quick, easy, delicious, filling recipe! Thank you!